After 12 hours of research on six top rated rice cookers, we are happy to conclude that the Zojirushi NS-ZCC10 is the best medium sized rice cooker available online! With a high quality build, cleverly designed features, and consistent (i.e. delicious) results, Zojirushi upholds their reputation for putting out superior rice cookers that deliver both performance and convenience. If you want consistently delicious rice, intuitive controls, longevity, and a portable design, the Zojirushi NS-ZCC10 is the right medium sized rice cooker for you. This futuristic rice cooker comes equipped with multiple sensors and new technology called “Fuzzy Logic” that adjusts the temperature and heating time while the rice cooks, to ensure a perfect pot of rice every time. Not only can you keep the rice warm for up to two days without the rice turning into rocks, you can also use the timer function to set the exact time you want the rice to be ready. If you want it in the morning, you could set the timer the night before and BAM! A perfect pot of heavenly goodness awaits you to start your day. 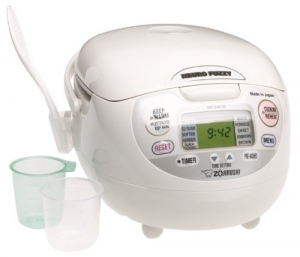 This bad boy can handle cooking all sorts of rice: white, brown, porridge, mixed rice, and sushi rice. Did I mention that it also has a retractable cord? Its size and portability will help you find the perfect spot to store in your house or make it super easy to carry around anywhere. While there were some complaints that the keep warm function broke down after about a year, the majority of customers stated this rice cooker kept on chugging for over four years. Make sure you’re looking at the NS-ZCC10 model, and not the comparable Micom Fuzzy Logic NS-TSC10. We found that the ZCC10 models are made in Japan and have a superior quality than the more inexpensive TSC10 models, which are made in China. 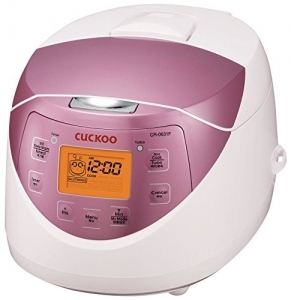 If you are looking for a no-frills, solid rice making machine, the Cuckoo CR-0631F is perfect for you. 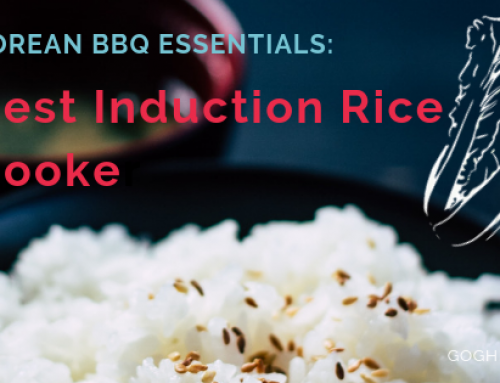 Although it isn’t as versatile as some other rice cookers in the market, this Korean rice cooker still hits all the major notes: perfectly cooked white rice, brown rice, and mixed rice, easy to clean parts, and a fast cooking time. This Korean rice cooker has a turbo function that can cook white rice in up to 30 minutes, which anyone who’s had to put dinner on hold because they forgot to make rice knows, is blazing fast. Similar to our Editor’s Pick, the CR-0631F has a convenient timer function and a high quality build that lasts over two years. However, while the Zojirushi is made in Japan, Cuckoo is a highly respected brand made in Korea. One customer gripe was that the accompanying manual isn’t as informational as they’d like, but with its simple controls, it’s not a deal-breaker. This rice cooker is also not as portable as the Zojirushi NS-ZCC10 as it doesn’t have a retractable cord and handle to hold, but it is perfectly medium sized. My only wish is that there were more color options besides this glossy pink. What is a Good Rice Cooker? All in all Zojirushi appears to have a pretty tight grip on the rice cooker market, and they’ve been doing great for a long time. They definitely know what they’re doing, they are the most technologically advanced on the market with microcomputer technology (MICOM) that adjusts cooking times and temperatures according to the type of rice you are cooking, times the pre-soaking of the raw grains, and the final ‘wait’ period during steaming. The feature that makes this rice cooker more premium than the NS-ZCC10 is the “Umami” setting. This setting soaks and steams the white rice longer for enhanced flavor. The difference in flavor from regular white rice and Umami rice is subtle but adds another level of deliciousness. However, the price you pay for more delicious rice is the extended wait time. It takes up to an hour to make the Umami rice and double that time for brown rice. 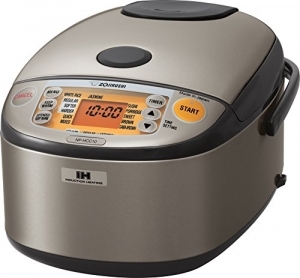 This rice cooker also has a versatile Slow Cook function that you can use to cook soup. A major complaint was that the power cord wasn’t detachable and some power cords didn’t have a snug fit in the socket. The NS-YAC10 doesn’t have as many durability issues that other Zojirushi’s seem to have but regardless, with the high price point you should be able to depend on this beast to keep chugging for a number of years. 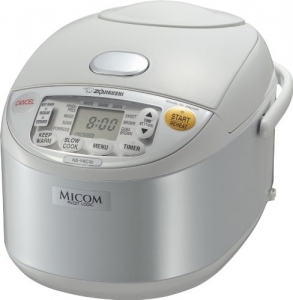 Similar to the smaller version of this rice cooker and regardless of how much you pay for a Zojirushi, you need to steel yourself for some problems a year or so down the road. This higher price point comes with a better heating system and a wide range of options to cook rice (multiple firmness choices for white rice, two different cooking profiles for brown rice, and more), but without careful washing and use the non stick coating can peel, it can completely die out, error messages will abound, and questionable rice quality can arise. It’s pretty telling that all of the rave reviews are from within a couple months of purchasing while go past a year or so and you start seeing the negatives emerge. If you really want to treat yo’self , the Tiger JKT-S10U-K (not to be confused with the legendary Korean rapper Tiger JK) is the rice cooker for you. 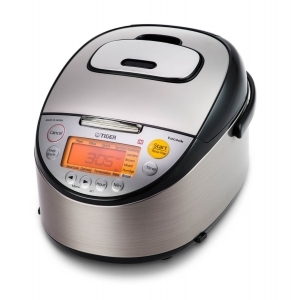 This beast of a rice cooker can obviously make any type of rice great, but that’s not all. This model comes with Tiger’s “Tacook” function, which is a built in synchro-cooking function that lets you cook rice and a main dish simultaneously without the flavors affecting each other. Dishes placed on the included “Tacook” plate will cook from the steam coming from the cooking rice below. If that’s not enough for you, there is a built in bread maker with a “Fermentation” and “Bake” function. Some of the main complaints were that the “Tacook” plate was only big enough to feed two people max, the non stick coating seems to degrade relatively quickly, and it doesn’t have a retractable power cord. 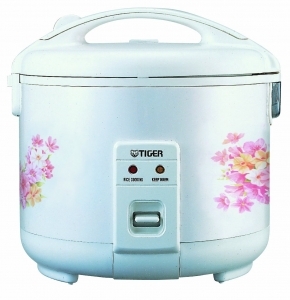 Who can hate on the classic floral design of this rice cooker? Although the Tiger JNP-1000-FL might seem pretty bare bones compared to the other rice cookers on this list, it does its job well. It can cook white rice in a rapid twenty minutes, keep rice warm for a day, has a retractable power cord, and has the all-important “Made in Japan” authenticity. However, problems arise after about six months of use. There were reports of water spewing out of the air vents when cooking, and the “Keep Warm” function stopped working for some people after about a year. The rice cooker also doesn’t shut off completely unless you unplug the power cord. There’s something incessantly infuriating about cooking rice. Late into my time in culinary school our chefs would still be pleasantly surprised when a bowl of perfectly cooked rice was placed in front of them. Cooking rice is so simple, why is it a surprise when someone cooks it right? To me that’s where rice’s enigmatic nature lies, all we’re trying to do is steam these tiny grains, force water inside to transform the little rocks into light, fluffy pearls of goodness. But when getting that perfect texture between half cooked garbage and a soupy mess can be determined by a minute too few or too many, an inch of water too low or too high, it becomes a surprisingly delicate process for your average home cook. Some people eschew the headache and just resign themselves to burning the bottom half inch of rice and dealing with the clean up later, I personally prefer the blanket method that my Ukrainian neighbor taught me years ago. Essentially, prep the rice as you normally would (wash the grains in a pot), pour water to about a centimeter above the rice, place on heat covered. As soon as the lid starts doing a little dance (aka the water’s boiling) take the pot off the heat and wrap in one or two blankets and let steam for about 45 minutes. You will have perfect rice, no burnt edges, no issues with doneness, fluffy grains of goodness every time. I digress, most people that came over gave me some perturbed looks when I got out the pot of rice to eat, and honestly your blankets will smell like rice; I didn’t mind the warmed up blanket though for my post meal nap :). Plus, I’m not very confident that the steam + blankets would be enough to get through brown rice’s superior casing. 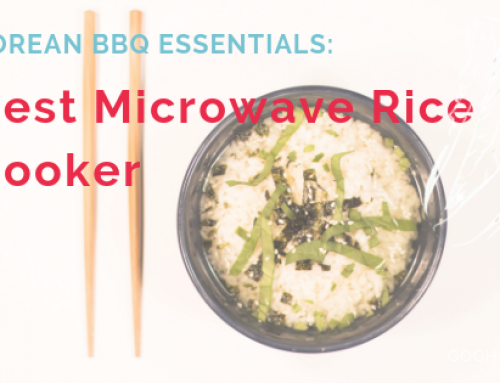 All of this is to say… if you eat rice on the reg, get yourself a rice cooker. The peace of mind that pressing a switch and knowing your rice will be cooked perfectly, the convenience of being able to leave the leftovers in the pot and have it warm and ready when you want to go back for more, the reassurance that you are not alone in this vast swirling void of a universe (some rice cookers talk to you!) are all more than enough reason to join the Rice Cooker World. My cousin’s wife told me once that the only chore she and her sister were responsible for was to make sure that there was always some cooked rice waiting in the rice cooker (this was when they were about six or seven). The only time their father yelled at them was when he came home from work and found an empty pot sans rice. Forget the socio-cultural history (if that’s not a word you heard it here first), forget the versatility (it’s not just for rice! ), forget the K-Drama reenactments (… right? ), whether it be white, brown, basmati, jasmine, short grain, whatever, a rice cooker deserves a spot on your counter. Don’t tell me about how little counter space you got. 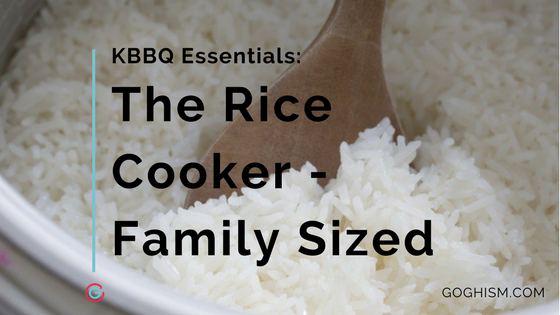 A medium sized rice cooker is essential for families. These larger sized rice cookers usually last longer than the small rice cookers and can make enough rice to last a couple of days. My family has always used Cuckoo brand rice cookers for its durability and amazing tasting rice. My childhood memories are full of waiting to listen to the melodic tunes that signaled that fresh rice was ready to eat. Medium sized rice cookers are meant for households with families or growing families of four to six. Our maximum capacity cutoff is six cups (uncooked)/twelve cups (cooked) rice, which should be plenty for families of four or more, while also producing enough for leftovers. Efficacy: none of this matters if the rice doesn’t get cooked. I’m assuming off the bat that this will be an easy win for most rice cookers, even the most basic ones should be able to produce well cooked rice… right? We’ll get as granular as we can here so we get some variation but the down and dirty of it is how well does this product cook rice. Convenience: There would be no point to getting a rice cooker unless it beats a normal pot. This will encapsulate overall maintenance, cleaning, and whether it has any features that make your dinner plans just a little easier (warming features, pressure cooking for faster cook times, etc). Versatility: This is not exactly a deal breaker to me, just being able to cook your standard white rice is good enough for my needs. However, it is nice to have some options in life, whether it be brown rice, other grains/starches (quinoa, lentils, barley, etc), a steamer tray for some simultaneous cooking, or even whether it can function as a standard pressure cooker. Durability: nobody likes buying something and having that slow realization that you got a lemon… unless you’re actually buying lemons. I can’t imagine ever moving the rice cooker off of the counter, but you’ll probably have to move it around a little bit within its lifetime and you don’t want it to fall apart whenever you do. Regardless of the workload you should be confident in the hardware you’ve purchased. So that’s what we’ll be boiling each down to… I’m not big on puns, promise. I’ll provide as much technical characteristics as possible but they won’t tie into the overall evaluation of the product. In the same vein as our Korean BBQ Grill post this flies somewhat in the face of our conventional methodology. As we don’t have the capacity to go out and test all of these rice cookers ourselves we opted to do the next best thing. We applied similar methods as we have for our Best Restaurants posts: relying on the power of the customer base, researching with integrity (we do not have any ties to the companies making these rice cookers), and being self aware enough to know that we are not smart enough to put forward our own opinion. We are simply relaying all of our research in as consumable of a format as we can; hopefully in the near future I can fulfill my lifelong dream of having a hundred rice cookers in my place, all singing their songs of warmth, happiness, and the cooked rice way. We decided to make this as easy as possible. We wanted to look at medium sized rice cookers that everyone in the US would have access to buy and that had a good amount of data that we could peruse through. We chose Amazon for its near ubiquitous use for online shopping, went straight for “rice cookers”, sorted by customer ratings, and went down the list looking for any that claimed six cups of uncooked rice or less. We settled on anything above three cups (the cutoff for our small rice cookers post) and anything below six cups of uncooked rice (twelve cups cooked) as that is the standard payload for families. First thing, of course, is to build out the stable of reviewed medium sized rice cookers. We’ll be going down our list as quickly as we can but if you have any rice cookers you are curious about hit us up and let us know. We are continuing our great journey into the hardware side of the culinary world, come along and help us see it through! It was great seeing how many medium sized rice cookers there are out on the market that do a great job of what they’re supposed to do… cook rice. But like any piece of hardware durability seems to be a consistent and major issue for these babies. Also, I know we’ve harped on this a bunch in our Korean BBQ Grill post, but these companies really need to come out with some palatable names for their babies. Writing about something that is a jumbled bunch of letters and numbers drives me up the wall. Regardless, it’s reassuring to know that the well being of our rice eating brethren lie in good hands. May your rice be always hot, fluffy, and perfect.